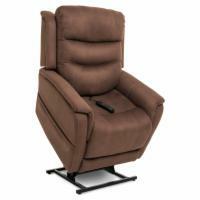 Pride Lift Chair Comfort - Pride Lift Chairs are designed to provide you with years of comfortable enjoyment. A number of size selections are available to make it easy for you to find the perfect lift chair for you. 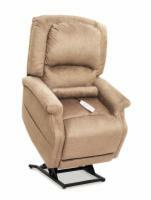 Pride Lift Chair Convenience - All Pride Lift Chairs feature convenient, easy to use hand controls that make it simple to smoothly and quietly stand and recline with just the push of a button. Pride Lift Chair Quality - Engineered to exacting standards and constructed of only the highest grade materials. Every Pride Lift Chair is subjected to extensive factory testing to deliver proven durability and years of worry-free operation. Pride Lift Chair Style - Pride Lift Chairs are available in a variety of attractive, eye-catching styles and fabric selections that are sure to compliment your home décor. Comprehensive Warranty - Pride Lift Chairs are backed by comprehensive warranties including a lifetime warranty on the steel lift chair frame. Pride's Classic Collection consists of five models. Each chair comes with firm foam seats and fiber filled backs. The Classic Collection has Pride's most economical models. Each comes with a 3 Year Warranty, free 1st year in home parts and labor contract, and free shipping. 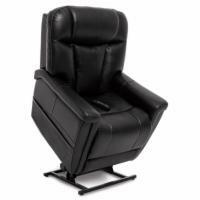 Heritage Collection lift recliners feature a medium foam button back seat with factory extended warranties on every chair. If you want superb comfort, style, and performance (without paying a premium for it!) then a Pride Heritage Collection lift chair is for you. 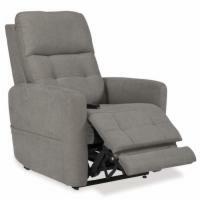 Specialty Collection lift recliners offer our customers the choice of special dimensions and unique features in lift chairs built to Pride's high standards. Come take a look here if you want a lift chair with flair.